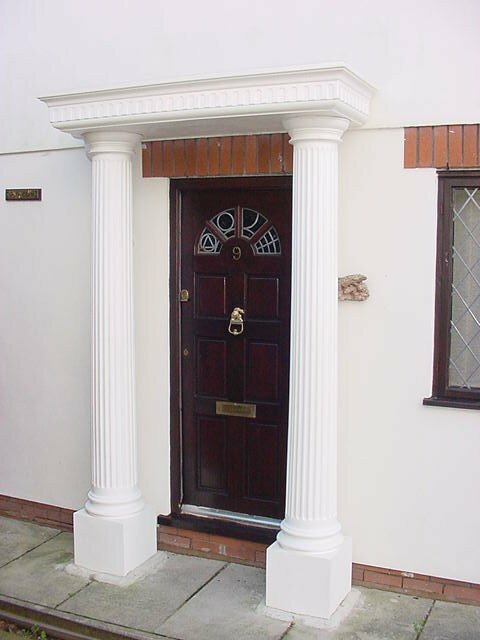 Plain Column These beautifully moulded smooth finish columns are lightweight and easy to handle. They can be used in many building projects, including porches, and porticos. Further strength for load-bearing properties can be added by filling the centre of the columns with steel rods and concrete,..
Fluted Column These beautifully moulded columns with a fluted design, are lightweight and easy to handle. They can be used in many building projects, including porches, and porticos. Further strength for load-bearing properties can be added by filling the centre of the columns with steel rods and ..
Vinyl Columns Kits Features: • Choose from 2 appealing styles: Traditional Square or Classic Colonial • Available in White • Mounts easily onto almost any surface, including vinyl, concrete or wood • Compatible with 36" to 42" railing systems • Certified 5,000 lb. load-bearing strength f..
Colonial load bearing pillars 5" x 5" x 108" high. Maintenance free available in white- mounts easily on vynil concrete or wood. Certified 5.000lb laod bearing strength. Includes all necessary mounting plates. Speacially conceived aluminium structural support. ..
A portico is a functional yet stylish way to add a touch of class to the front of your home by transforming the appearance of your doorway. Our portico designs incorporate dentil mouldings on the triangular front, with these classic lines serving to create an elegant and aesthetically pleasing stru..